We may have only just got our hands on Sanhok, but it looks like we’re on track to see the new winter map added to PUBG. In an interview with PCGamesN, PUBG’s creative director Brendan Greene revealed that they’ve already tested the Winter map, and hints that maybe – just maybe – we’ll be able to track other players by their footprints. 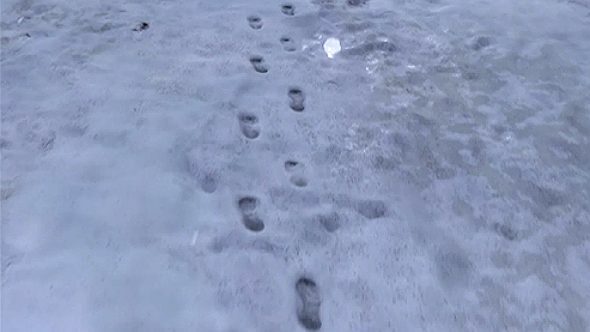 That E3 teaser didn’t show much, with PUBG Corp only letting us glimpse footprints in the snowy landscape of the Adriatic map, but it was enough for people to speculate about new upcoming features. Many on Reddit believed that the inclusion of the footprints meant that we’ll be able to track players through the winter map’s dynamic weather system, and, well, that rumour might well be true. If it is true, the feature will change the way PUBG is played forever – and create some special moments in every game. No corner will be safe to hide, and you’ll be constantly checking over your shoulder, but that’s part of the fun, right? Back when we first heard about the PUBG snow map, Greene said it was a feature the developers wanted to implement, but wasn’t sure about it at the time. We also know that the map will be in between the sizes of Miramar, Erangel and Sanhok, so close quarter combat and quick, enticing matches are almost a guarantee. Now, we’re just left to work out how to cook chicken in sub-minus conditions.